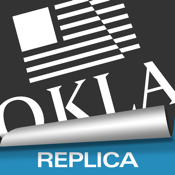 If you are a current Print or Digital subscriber with The Oklahoman, you can receive The Oklahoman Print Replica FREE each day on your mobile device. 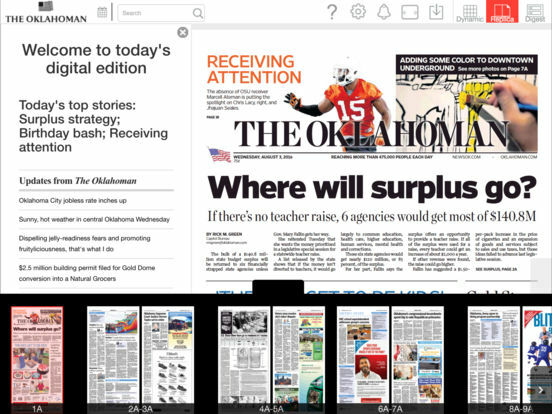 The Print Replica is a digital version of the print edition of The Oklahoman. 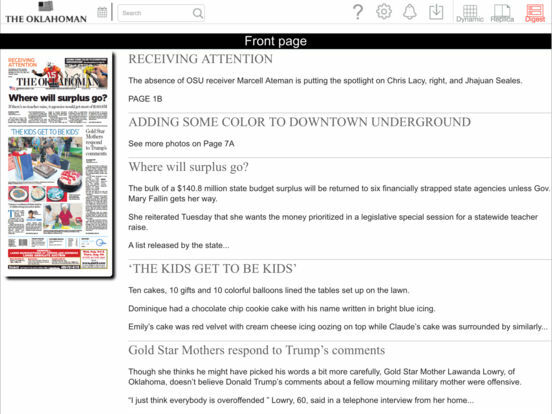 This app provides you convenient access to Oklahoma’s largest daily newspaper and the state’s most trusted news source. -	Single full page view and double spread views, automatically switchable based on the device position (landscape or portrait). -	Standard pinch/zoom gestures and special SmartZoom – tap on an article to select, highlight and zoom in for an optimal reading experience. -	“Recent Issues” screen displays thumbnails for up to seven available editions; flip forward and backward to view, tap to select the issue. -	Share articles and photos with friends on your social network or via email. -	A Digest view makes it easy to locate articles by section; select article to view. -	Links within the edition (i.e. email addresses and web sites) are clickable from articles and classified ads. -	The open book icon will take you to your saved bookmarks desktop feature, where you can edit and arrange the article bookmarks screen. -	Follow developing stories from Oklahoma City, Tulsa and across Oklahoma, as well as national and international news. -	Find dedicated coverage of the OKC Thunder NBA team, OU Sooners, OSU Cowboys and other Oklahoma sports teams. 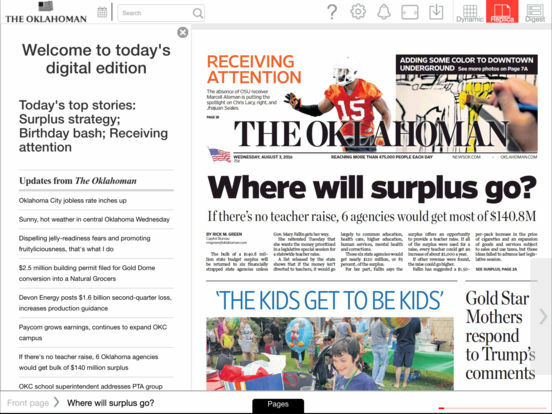 -	All the Oklahoma business, industry and government news you need to stay competitive. 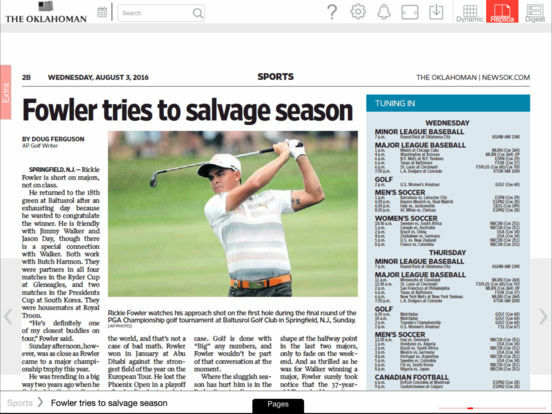 -	Weather is always news in Oklahoma, and no one covers it like The Oklahoman. -	Read some of America’s finest entertainment and lifestyle writing on topics as diverse as television, food and drink, travel, book reviews, fashion, movies and music.